Let me tell you why I am such a HUGE fan of this awesome no-mess, no-glue, all-fun medium that you can make anything with! Colored duct tape crafts and projects are still hot right now and a part of my repertoire since I first discovered pretty rolls of the stuff by accident about 2 years ago. And I was pretty much, sold. 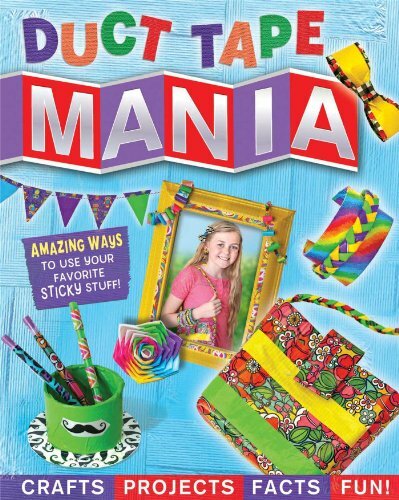 There are so many unique kinds of crafts to make with duct tape it would make your head spin, and then some! I’ve not only used it for diy projects, I’ve used it to jazz up ordinary things like picture frames. It’s versatile, fun, and you don’t need hardly any other tools to get started. 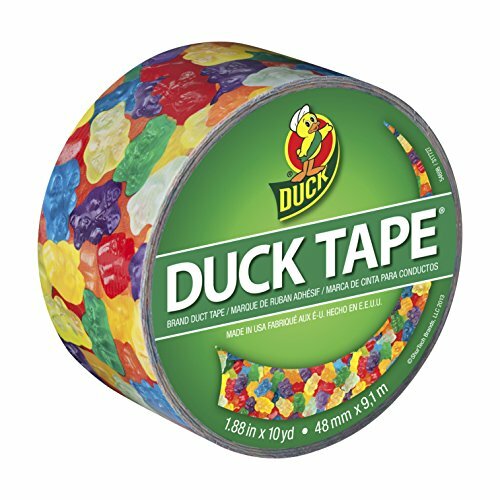 My only question is why did it take this long to finally get pretty and colorful duct tape that holds as well as the boring old silver-gray stuff? Colored Duct Tape Crafts are Still Really Hot Right Now! So why is this such a great medium to work with? Number one…you don’t need a bunch of extra tools to get started. Obviously not glue or adhesive since that’s purpose-defeating (duh)…All you need to get going is some tape and some ideas. There are some books that have great ideas in them, plus step-by-step patterns too! 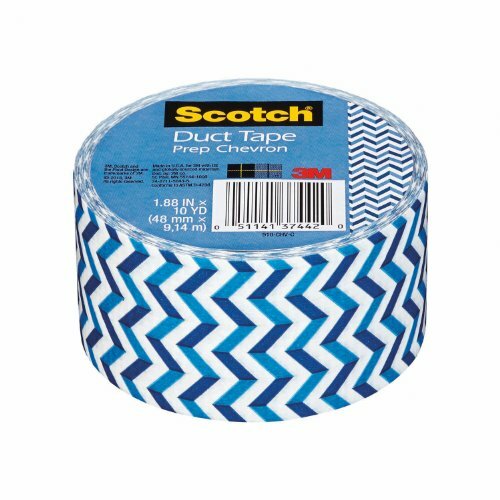 It’s hard to settle on any one color since there are SO many out there…Colored duct tape for crafts really runs the gamut. There is everything from rainbows, cupcakes, and checkered flags to prints of licensed Disney characters and Justin Bieber – no limits whatsoever. The leopard print is my favorite, my next runner-up is the metallic shades of gold and silver. It is what I used to take an ordinary shoebox, picture frame, and coffee can, and give them a classy “upcycling” makeover! I suggest you get multiple rolls, you will also be surprised how fast you can go through a roll! Have varying solid colors and patterns to put together. I personally work with and recommend Duck Brand (you knew that was coming) and Scotch, colors and patterns vary but yardage is the same for both of them. Put away your scissors – you can easily rend this tape! it does not have that raggedy look that masking tape often leaves behind. Trimming different lengths just slows you down and leaves those scissor blades gummed up something terrible. The edges will have a sort of crimped look to them. Some people may be a little sensitive to the residue or find that if your fingers take on a “gummy” feel, a little rubbing alcohol can help. Specifications: Each individual roll measures 1.88″ in tape width and 10 yd’s in length of product. Or a blank artists’ canvas can be wall art in no time. Some of the most unique decorative duct tape crafts out there are surprisingly simple! A few of the biggest trends are wallets, purses, and jewelry. Here’s a great example: For Christmas, 2014, I made an adorable wallet for my husband’s cousin as a handmade gift. I used the “Dill With It” (pickles – ya dig?) print and I still have a fair amount left on the roll with the funny pickles. The only other tools I needed were a piece of clear plastic for the wallet’s ID card window, and an armature made from aluminum foil – this part is strictly optional, though. 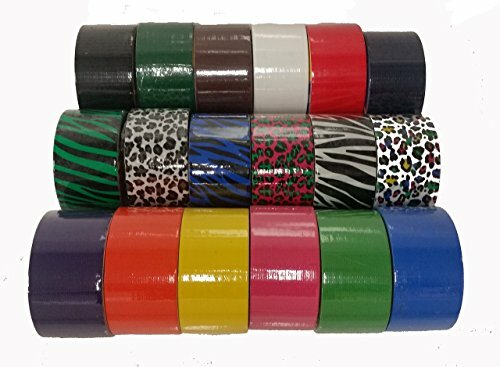 Multicolored duct tape is not only versatile, it is flexible yet strong, just like its boring gunmetal gray counterpart. I could go on and on with a non-exhaustive list, but I think you get the idea. If you are ever in search of ideas there are plenty to be found online or in craft books. Don’t hesitate to include the kids, too, as this is one material that is as close to non-toxic as you can get. If your head is buzzing with ideas right about now on to the fun part of shopping for the tape! Sometimes colors, designs and patterns vary by location, I found that out on my own when I was looking for my favorite pattern (leopard print)- I love it but after only seeing it locally in blue or pink spotted prints. I thought that was a little too gaudy for my tastes so I went to look for it online. Where I live each roll is like, close to $5. That would average $25 for a bundle of 5. You can get it much cheaper if you get tape in bundles...specifically those that have a “grab bag” of different patterns!